Matchmaker. Money hunter. Happy to help. Music publishers are our industry’s backbone. Without them, many special songs would never get written, and dozens of strange income streams (like royalties owed to songwriters from karaoke bars in Australia, or ringtones in Japan) would recede into the dark underworld of unrecoverable revenue. A business that started 100s of years ago with the literal printing and publishing of sheet music (plus an old international treaty) now finds itself at the center of the streaming era. Before we dive too deep into who publishers are and what they do, a quick legal refresh: Every time our team plays “N Side” by Steve Lacy at AWAL HQ, which happens quite frequently, we’re generating value for two different things. Thing #1: Master. Without it, there’d be nothing to stream or download. The master is the final file submitted for distribution, and it encompasses what we hear when we press play — an artist’s voice, a producer’s sounds. Record labels, recording artists, and producers traditionally own masters (legally classified as sound recording copyrights in the U.S.) Think of the master as the website you’re reading right now. Thing #2: Composition. Without it, the song itself wouldn’t exist. The composition consists of lyrics, chords, and melodies — stuff you can read and write, aka a track’s DNA. Music publishers, songwriters, topliners, and producers traditionally own compositions (performing arts copyrights in the U.S.). Think of it as the HTML & CSS code used to build this website. Top-shelf publishers (re: the people who run them) exhibit most if not all of the following traits. Every good publisher has its own style and strengths. 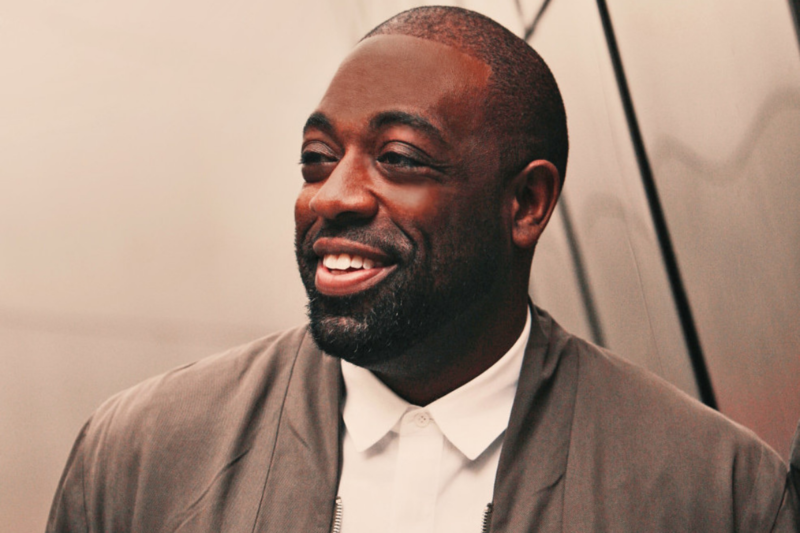 One boutique might excel at organizing writer camps in Nashville, whereas another might operate almost solely in hip-hop and help push beat packs to the right ears. 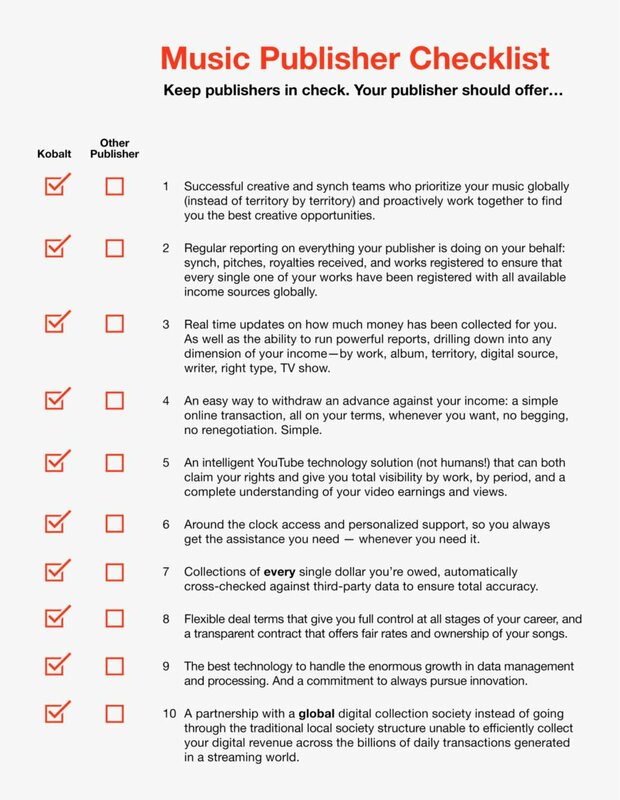 Collect a mixed bag of revenue streams. This includes mechanical royalties from paid downloads and sales of physical products such as CDs, synch fees, the writer’s share of streaming income, and lots more. There are countless potential revenue sources for publishing, scattered all across the globe. Tracking down all that money is a Herculean task. Connect dots. This might mean working hand-in-hand with a signed writer or producer and offering feedback. It might also mean scheduling 10 writing sessions in 10 days to help a writer find collaborators they click with, or jumping through hoops to get a song placed on a superstar artist’s album. All of this falls under the umbrella of Creative, publishers’ A&R equivalent. Synch, synch, synch. Usually, if a film or TV show’s music supervisor asks to place your song in their show, both the composition owners (e.g. writer or publisher) and master owners (e.g. artist or label) must sign off, as they both receive payment for that usage. Publishers play a big part in making synchs happen, from small ad spots to Super Bowl ads. You’d be hard-pressed to find a better example of how publishing magic really happens IRL than Sam Taylor’s origin story about Kendrick Lamar's 2015 anthem "Alright." The To Pimp A Butterfly track began when the Kobalt exec heard the beat while it was still a song for someone else. Sam insisted the files make their way to Lamar and kicked off a long, rewarding road to release. Chance encounters, taste alignment, and personal trust all determine what happens and what doesn’t. The type of pub deal you sign does the same. Usually, where there’s synch pitching and creative support, the publisher asks for higher commission rates and, historically, some copyright ownership. 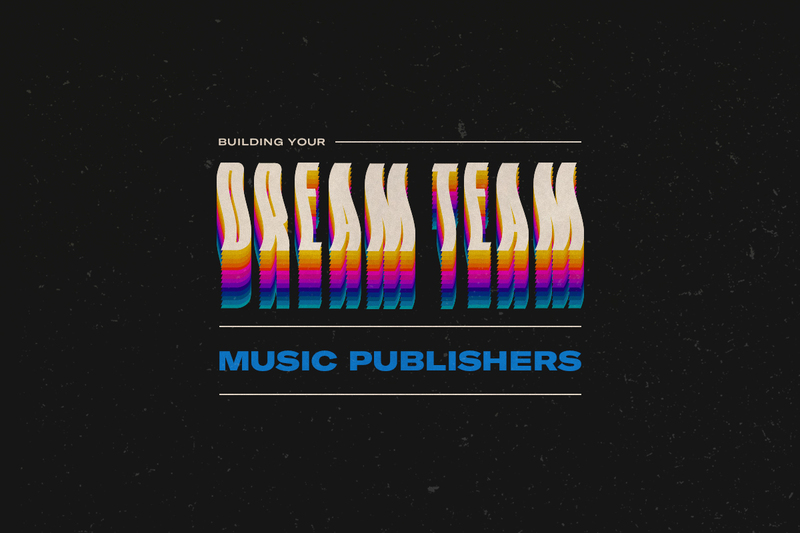 It’s common to come across co-pub deals in which a publisher offers their support, connections, and resources in exchange for an ownership percentage % of the writer’s publishing royalties. Co-pub deals typically come with longer terms. 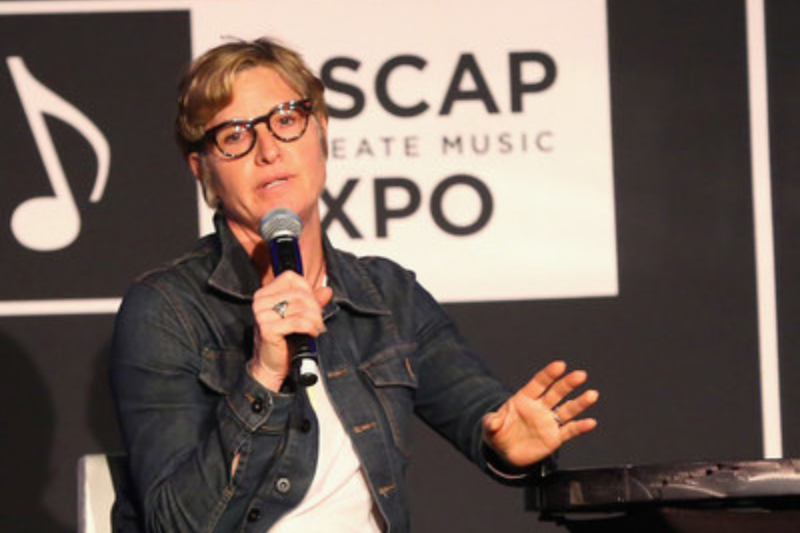 In these longer terms, the songwriter might give up control over how their music can be used and/or licensed. Co-pub deals usually come with a monetary advance, and for some songwriters, the advance might be the best option (or the only option) available to them when they sign. That said, there’s substantial risk in taking one lump sum upfront and losing control for years to come, so it’s crucial any publishing deal is vetted by a lawyer with your best interests in mind, at the very least. As a matter of principle, Kobalt [AWAL’s parent company] only does no-ownership, short-term admin deals, even when advances are included, or when the synch and creative teams get involved. It’s worth remembering that advances are recoupable — a company is literally advancing you the money they expect you’ll make within a term. A music publisher tends to make sense when some mix of these statements rings true. Writers tend to see the best publishing deals when they have recent or upcoming wins under their belt. This might mean waiting to work with a publishing company until a big-name project’s dropped with your credits all over it, or signing before the project goes public if the hype is high enough. For newer artists and writers, the goal at the beginning should be to find a team that helps knock down doors without controlling too much of your work for too long. The biggest publishers tend to centralize in major music markets — London, New York, Los Angeles, Nashville, etc. Most multinational publishers hold offices in different territories to facilitate collections worldwide, and enlist the help of ‘sub-publishers’ (local companies in different regions) to make sure royalties don’t fall through the cracks in the far corners of the world. A global footprint can also deepen the opportunity pool for signed writers. Working with the right publisher at the right time can yield infinite creative and commercial benefit. The best know how to balance both, introducing your work to bigger and better modes of exposure if and only if they align with how you want your art perceived. Before you ever work with one, though, it’s good to think through what ‘best’ means to you. Publishers should function as an extension of your core team and play a pivotal role in building careers. You want to do what you can to make sure it’s a snug fit from the jump. Our friends at Kobalt dissected what folks should expect from publishers in greater detail. Dig into the nitty gritty below.